The long awaited crowd sale of the IGNIS token has begun. The Nxtchat.slack has been buzzing for weeks with anticipation and discussions of how to get your hands on these JLRDA tokens and this article contains some important information pertinent to your investing decisions. Eager participants from all around the globe were ready, eagerly staring at their desktop clients with the ICO window open in their NRS Client, excitedly building tension in Slack, ready to purchase. The shock – as everyone realized that the first ICO round was over even before Jelurida’s exchange offer had hit the client GUI! The first 5M JLRDA tokens had been sucked up by a single whale in a flash. 1% of the JLRDA tokens available in the ICO had been sold without anyone even seeing the offer let alone having a chance to place their orders in the client! Take a look at the whale’s account. Lots of phased transactions. Buy offers put into every block within the announced time frame of the first round, just waiting for his approval to be executed. But how could he react so fast? One sound theory is that the buyer had a bot listening to the network and as soon as the exchange offer was put by Jelurida, still unconfirmed, he executed the transaction in that same block. First reactions were harsh. 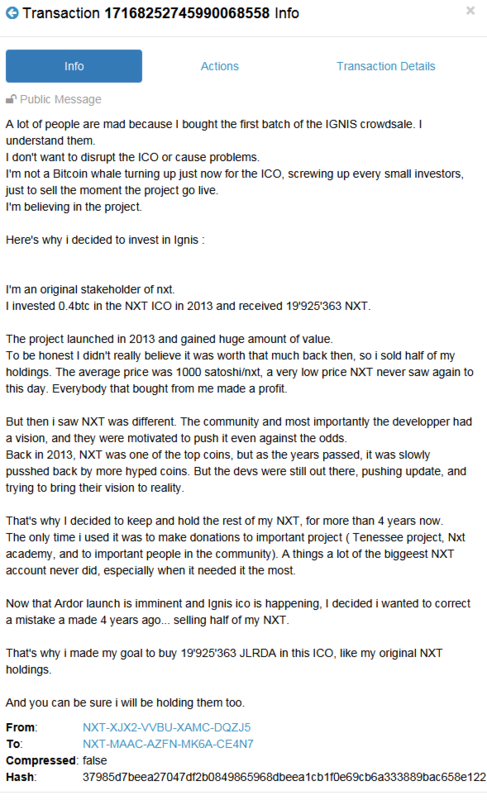 From emotional accusations from disappointed users that the ICO round had to be an “inside job”, to conspiracy theories and sad claims that all IGNIS tokens most certainly would be sucked up by rich investors only, “just like in the fiat world”, hit the world wide web by storm. And now, few hours before the next batch of 5M JLRDA tokens are to be released, we can only wait and prepare for our second chance to get in. No, “MAAC” did not play it fair in Round 1 but after all, he played it well AND played everybody by the rules of the tech. Rules that can be dug into by everybody, by the way. Jelurida has released a schedule of the availability of the batches for the first round of JLRDA. 55 M tokens are left in 11 bins of 5 M, staggered by 12 hours to make it harder for whales (people with massive amounts of NXT) like MAAC to buy the entire amount. In the coming hours and days, we will keep you posted about the progress of the ICO, as well as explain in much greater detail about IGNIS, Ardor, and all the advantages of this revolutionary new platform. The coin sale will last for months so do not worry if you are not able to participate immediately, there will be many opportunities to participate. 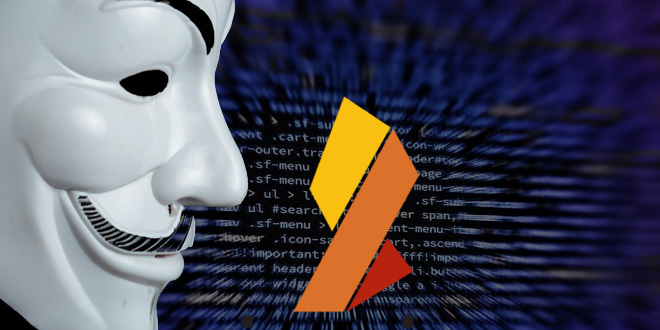 In addition to the ongoing ICO, approximately half of the IGNIS coins in existence will be distributed automatically to NXT holders based on their account balances at the time of the Ardor Genesis Snapshot, at 1 NXT = 0.5 IGNIS ratio. It looks like ignis, cant make a fair( stable in terms of distribution) environment. Regular people cant see tokens in their client, is this a bug ? – yes it is. There is no excuse that smbdy write a bot – and that everyone can write bots and blah blah blah. In your suggested client – there was no available tokens. And when company agreed with such manipulations – it shows that in future situation wont change, and there will be no fair play even from founders of that crypto. Dumped my NXT at a loss on Bittrex. Glad there’s some whale who accumulated millions of dollars in gains from a small investment half a decade ago who thought it was a good idea to screw the community. It provided me with a lot of clarity on why I don’t want to be part of it. Good luck to everyone involved with this project.